Wolf G. 2011. 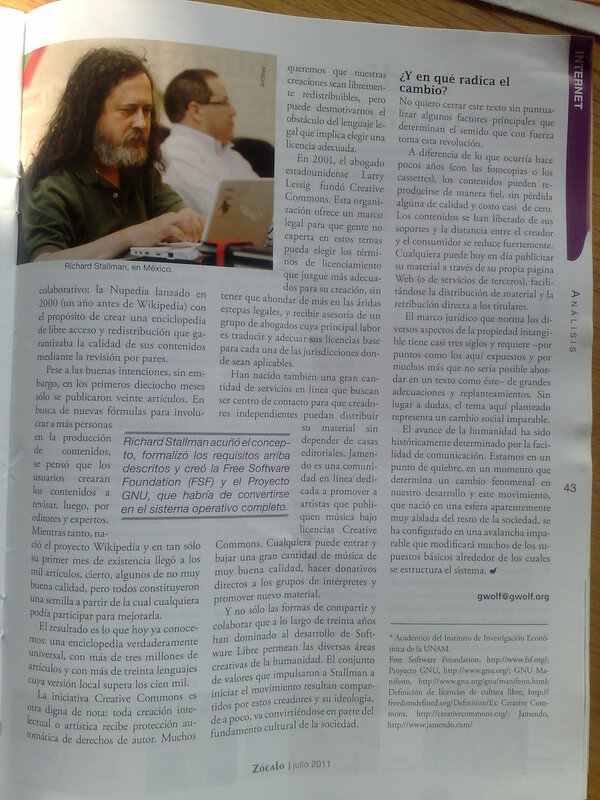 Software libre, cultura libre. 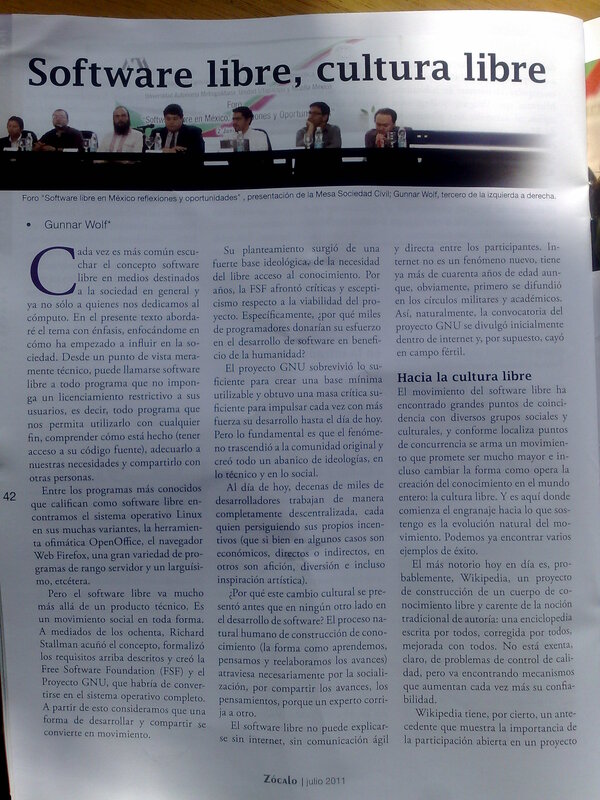 Revista Zocalo. XI:42-43. Finally presented that long-overdue exam!